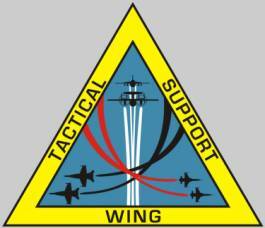 The Tactical Support Wing (TSW) is a United States Navy reserve aircraft carrier air wing based at Naval Air Station Joint Reserve Base Fort Worth. Commander, Tactical Support Wing (TSW) has become the new designation of the former Reserve Carrier Air Wing 20 (CVWR-20). This change occurred on 1 April 2007 and was executed in accordance with the U.S. Navy's Active-Reserve Integration plan. The wing comprises seven squadrons, located in six different states, whose primary mission is operational and training support for active forces. 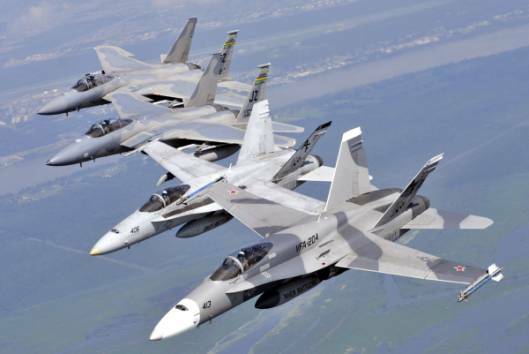 The air wing is the only Tactical Reserve Carrier Air Wing in the world today and is an integral part of the Navy 's 11 Carrier Air Wing force structure. With the disestablishment of the West Coast reserve air wing (CVWR-30), the TSW (CVWR-20) is now the heart of tactical aviation in the U.S. Naval Air Reserve. To provide support to all active forces and assist in training services, exercise support, counter narcotic operations, fleet contributory support, and preparation to deploy to any protracted conflict and operate as an integrated air wing. In addition the wing is responsible for maintaining a pre-determined crisis response posture in the event of a national crisis. VAQ-209 Star Warriors - based at NAF Washington D.C.
TSW/CVWR-20 squadrons have operated from virtually every carrier deck in the Navy's inventory, including cyclic operations aboard USS John F. Kennedy (CV-67) in 1971, 1996; USS Independence (CV-62) in 1978;USS Lexington (AVT-16) in 1981; USS Carl Vinson (CVN-70) in 1982; USS Dwight D. Eisenhower (CVN-69) in 1984, 1985, 1989; and USS Forrestal (CV-59) in 1987. The air wing embarked aboard the USS John C. Stennis (CVN-74) in June 1996 to conduct cyclic operations on the Navy's newest aircraft carrier. Regular operation deployments have been conducted at the Naval Strike Warfare Center in Fallon, Nevada, as well as numerous detachments to other Navy and Air Force installations. Additionally, overseas operations have been conducted in Bosnia and Herzegovina, Bermuda, Brazil, Denmark, France, Hawaii, Iceland, Italy, Norway, Panama, Turkey, the United Kingdom and Venezuela to advance air wing tactics, readiness and fleet support. 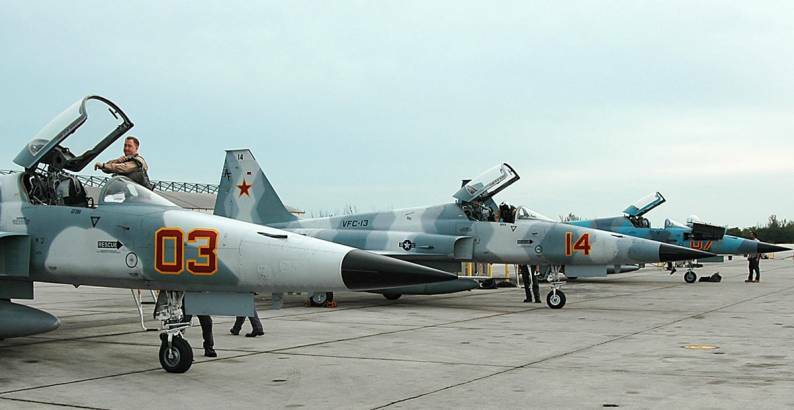 In February 1996, the Naval Reserve reestablished Squadron Augment Units (SAUs) to help ensure an adequate supply of Fleet Reserve Squadron (FRS) pilots. This action enhanced fleet mobilization readiness and increases pilot training throughput with minimal cost growth. 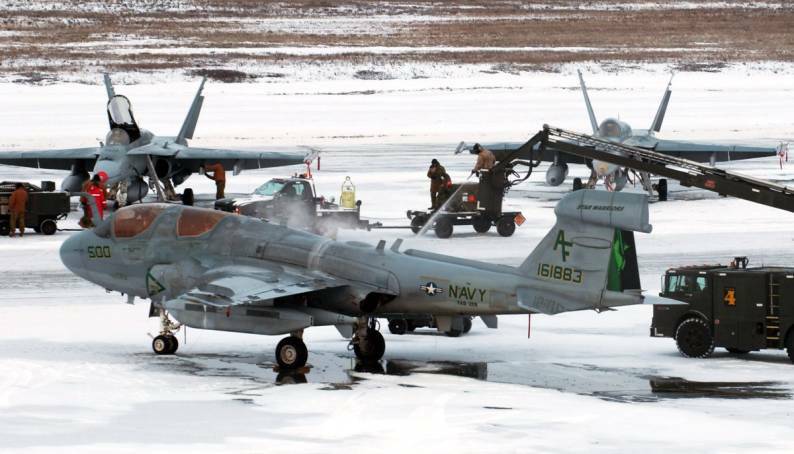 The SAUs established to support VFA-106 and VFA-125 consisted of 10 SELRES pilots, 2 TAR pilots, 25 TAR enlisted members, and 35 SELRES enlisted members per squadron. The two Reserve Carrier Air Wings, CVWR-20 and CVWR-30, were established on 1 April 1970 followed by two carrier ASW group [CVSGR-70 and CVSGR-80] on 1 May 1968. This was a continuation of a program initiated in July 1968 to give Naval Air Reserve squadrons an improved combat readiness. In 1996 CVWR-20 and its squadron, VF-201, VFA-203, VFA-204, VAQ-209, VAW-78 and HC-85 completed their much needed two week annual training aboard USS John C. Stennis (CVN-74). Much needed because CVWR-20 had not operated together as an airwing around the boat since 1989. In the following two years, Naval Reservists of Carrier Air Wing Reserve 20 (CVWR-20) worked on the flight decks of multiple carriers. Some CVWR-20 aviators landed on the deck of every aircraft carrier on active duty today. But even this seasoned Wing and its Sailors broke new ground in April 1998 when they embarked on USS KITTY HAWK (CV-63) for the ship’s flight deck certification. Approximately 240 pilots, air crew and maintenance people from CVWR-20 embarked KITTY HAWK off the coast of Southern California for a busy 10-day underway period that included flight deck certification, Command Assessment for Readiness and Training II, Precision Aircraft Landing certification and an Afloat Training Group visit. The Wing and its inventory of seven F-14 Tomcats, two EA-6B Prowlers and one E-2 Hawkeye completed over 150 traps. This was the first flight deck certification Air Wing 20 has been involved in. In addition to a busy schedule, a large part of Kitty Hawk’s Air Department had never conducted flight operations at sea. But the mission was accomplished in a very short time frame. In the summer of 1998 CVWR-20 completed a one month deployment to Incirlik, Turkey in support of Operation Deny Flight. In May 2000 sailors of Carrier Air Wing Reserve TWENTY (CVWR-20) operated aboard USS John F. Kennedy (CV-67) for two weeks, supporting a series of tests evaluating the Cooperative Engagement Capability (CEC) system. CVWR-20 launched sorties in support of the evaluation and took advantage of the underway period to sharpen war fighting skills and achieve important qualifications as well. This detachment was especially important to VFA-201 because it was their first at-sea period since they transitioned to the FA-18 Hornet. Several pilots qualified in carrier operations for the first time in the Hornet, making arrested landings with an impressive boarding rate. VFA-201 also fired their first air-to-air missiles from the Hornet, launching three AIM-9 Sidewinder heat-seeking missiles and two AIM-7 Sparrow radar-guided missiles in a variety of profiles at a number of different targets. In another first for CVWR-20, five Marine Hornets from VMFA-142 joined them for CQ, qualifying all five pilots. Three of the Hornets then flew to Roosevelt Roads where they flew Orange Air missions in support of CEC. Commander, Tactical Support Wing, located at Naval Air Station Joint Reserve Base Fort Worth, TX, has operational and administrative control of the Air Wing. CVWR-20 consists of more than 1,900 active duty and Selected Reservists (SELRES). The SELRES represent a unique personnel asset as a civilian/sailor who performs one drill weekend each month and up to twelve days of active duty each year. The squadron's active duty TAR (Training and Administration of Reserves) cadre is jointly responsible for SELRES training and the maintenance of unit readiness required for crisis response. In today’s smaller Navy, Reservists are performing more duties once filled by active duty units. While Reservists are obligated to drill a minimum of two days per month and incur a two-week Annual Training session, Sailors in TSW far exceed that, averaging seven to 10 days a month, or about 100 days a year. The organization structure of TSW mirrors that of active fleet air wings, with the exception of a F/A-18E/F Super Hornet squadron, and the air wing is capable of immediate mobilization when directed to meet commitments required by higher authority. 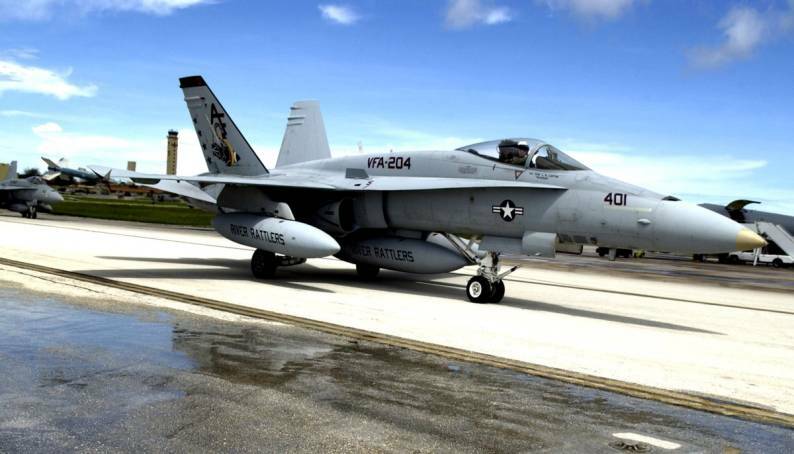 VMFA-142 (Marine Fighter Attack Squadron 142) has been designated the U.S. Marine Corps component of this reserve carrier air wing, supplementing the three existing VFA squadrons. The wing conducts USMC Integration with VMFA-142 "Flying Gators" every other year. HS-75 at NAS Jacksonville upon Mobilization chops to TSW. It is able to provide the flexibility to immediately integrate and operate with regular Navy counterparts.